If you are anything like me, one of your favorite things about Bible journaling in the fun, fresh way it allows you to dive into The Word. After years of daily Bible reading, Bible journaling allowed me to stop just reading and start doing! I love the hands on approach to read and study scripture that Bible journaling provides. Unfortunately, even the best things can grow tiresome. 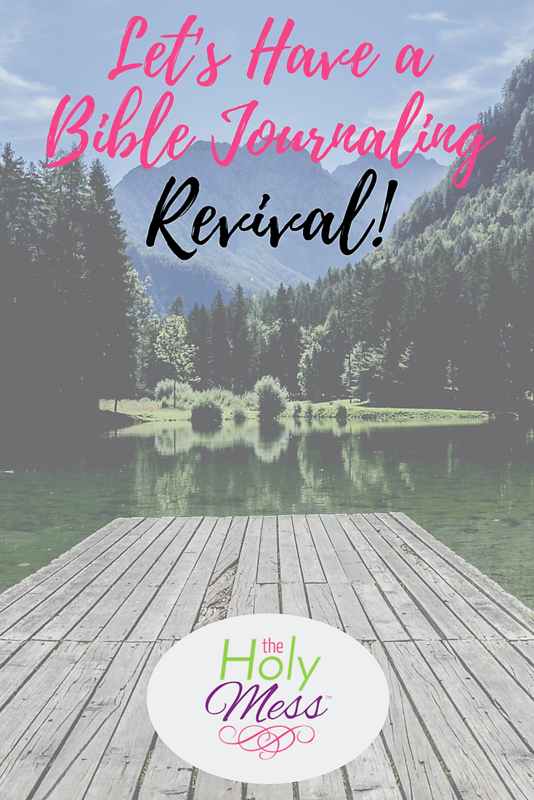 If your Bible journaling has become more a chore than an adventure what you need is a Bible journaling revival! Google defines “revival” as an improvement in the condition or strength of something. Keep reading for ways to revive your Bible journaling. The Bible is a big book and it can be easy to get overwhelmed. Sometimes I find myself getting lost and don’t know what to journal. For revival step one try limiting or specializing your focus. Choose one of the following ideas to get your Bible journaling revival started. With all the beautiful Bible journaling ideas fluttering around the internet it can be easy to become a Bible butterfly — floating from verse to verse and book to book. Let’s stop skipping about and grab on to one moment. Commit to one book. Slow down and focus to strengthen your Bible journaling. If sticking to one book isn’t for you then try sticking to a specific theme. Find a reading plan that has a specific theme. Here is one of my favorites from The Holy Mess. Using a themed reading plan will help you dive in and focus to increase strength in one area. Colored pencils, watercolors, gelatos, oh my! I love all the different options Bible journaling offers, but the choices can also overwhelm. Sometimes I spend so long choosing materials that I run out of time. To avoid this I often limit my supply options for a while. Try choosing a color theme or specific material and limit yourself to that. 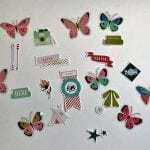 Perhaps only blues and green or washi and stickers for a month. Limiting your supplies gets your thoughts off of the choices and onto the scripture. A devotional kit is a great way to try several of these revival ideas at the same time. For my personal Bible journaling revival I am choosing the Illustrated Faith “Revival Camp” devotional kit. 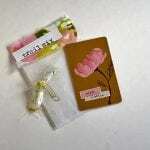 The Illustrated Faith kits offers a themed reading plan and all the supplies you need in one box. Want to join me? 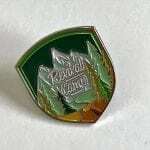 Pick out your favorite Illustrated Faith kit here. *Bonus: This kit comes wrapped up and ready for gifting so grab two and bring your bestie along for revival time! 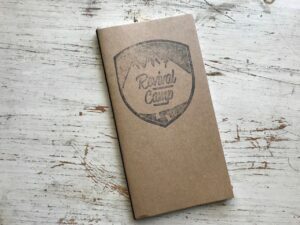 “Revival Camp” kit is loaded with devotionals and supplies to jump start your Bible journaling revival. It’s ready to help you explore your heart through prayer and fellowship. Click here to purchase your “Revival Camp” kit from Illustrated Faith. I love putting my worship art directly on my Bible page, but sometimes those thin pages create For revival step two try journaling outside of your Bible to mix up paper and size options.frustration. Having a delicate canvas that is limited in size and shape can limit full creativity. Choose one of the following ideas to continue on your Bible journaling revival. If you hesitate in your Bible journaling because you are afraid of mistakes then working in a notebook or sketch book may be just the freedom you need. Notebooks and sketchbooks allow you the space to experiment without worry. Notebooks are budget friendly and have the benefit of lots of space and pages. Using a sketchbook will give you freedom of experimenting with paints and stamps without worry for page prep. If your goal is to get into The Word everyday then working in a planner might be perfect for you. Use the day spaces for daily verses or use the whole page for a faith planner spread. I love the Dayspring agenda planners for this. 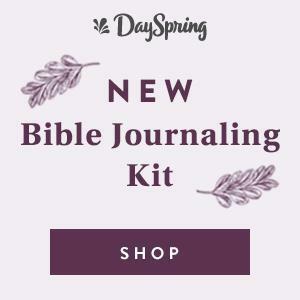 Want to use a planner for your Bible journaling revival? Click here for how to get started. Sometimes I really struggle to stay focused on one topic for too long. I start a study and then about halfway through my mind has wandered to something else. Using a separate journal for each study helps me stay committed and at the end I have an inspirational look book. An added bonus: varying your journal size creates a fun challenge unique to each study. For my personal Bible journaling revival I chose to work in a journal with the Illustrated Faith Revival Camp kits. 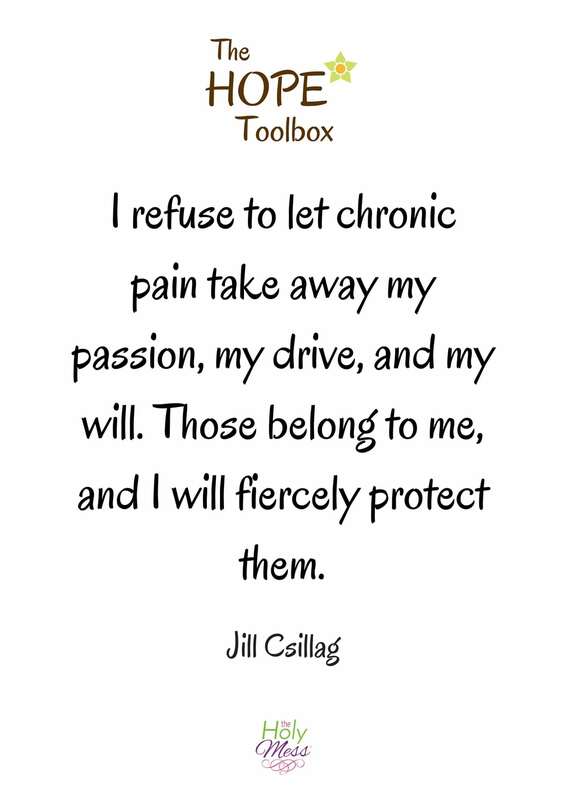 They have an amazing add on journal available here. The whole point of our Bible journaling revival is to mix things up and get ourselves out of a rut. For revival step three try a common technique in a unique way. Changing up the way we do things can make tasks exciting again. Choose one of the following ideas to continue on your Bible journaling revival. If you always reach for a paint brush before you paint consider a different application process. 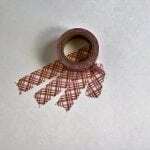 Normal household items such as Q-tips and cotton balls can make fun textures on your pages. Using a paint card to scrape paint on your page is an easy way to get color on your pages. 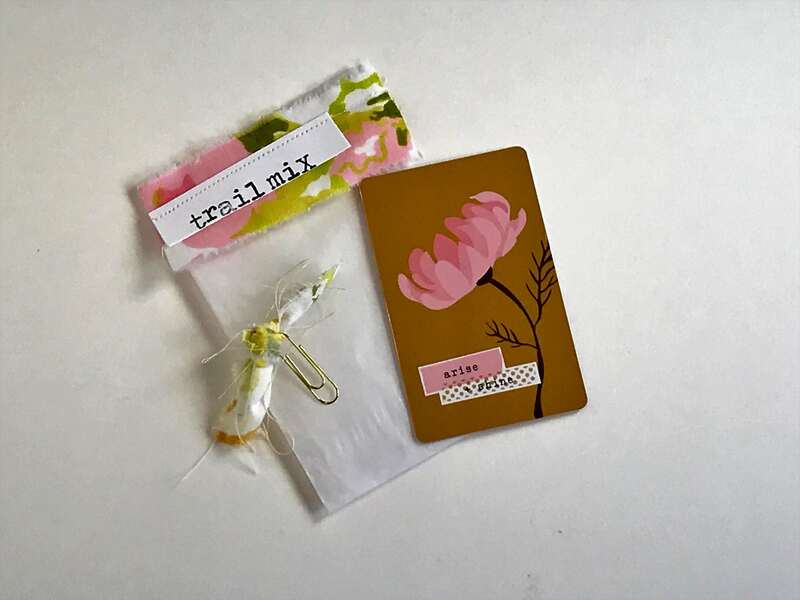 This month’s Illustrated Faith Revival Camp devotional kit contains a paint card in the “trail mix” bag. So much of Bible journaling is letters so changing up your lettering process can be a great way to mix things up. If you usually handwrite on your pages try alpha stickers. If you usually reach for alpha stickers try hand lettering for a while. Tired of both? Magazines offer a fun letter source – just cut out and glue on. I am using the Illustrated Faith Revival Camp devotional kit for my Bible journaling revival and each kit comes with a set of stamps. 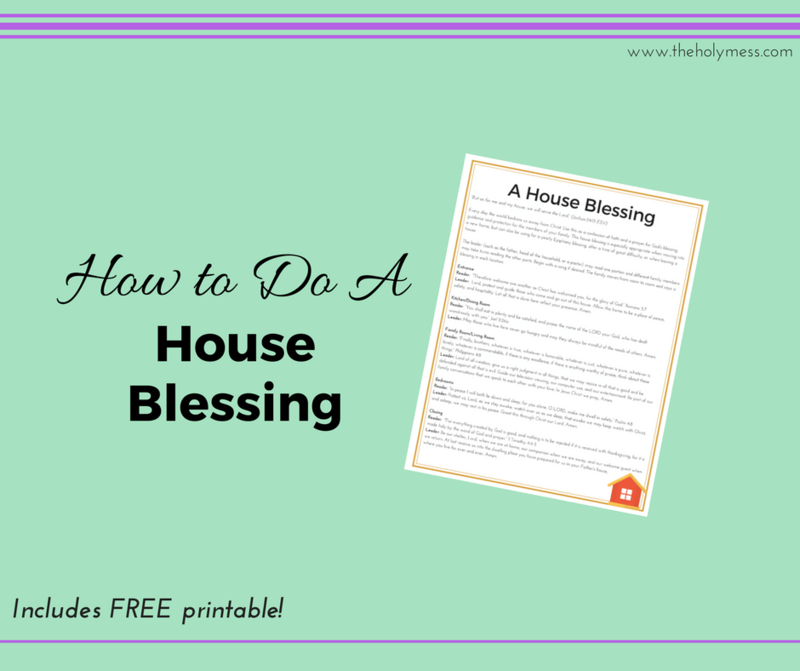 Most of us reach for stamp pads, but to mix things up try reaching for something else. Many pens and markers can be used with stamps. Acrylic paint is also a favorite stamping medium for me. Want something really daring? Try stamping with bleach for a little challenge and a unique look. Want to see more of our Bible journaling revival? Follow along on Instagram @journalingjade. 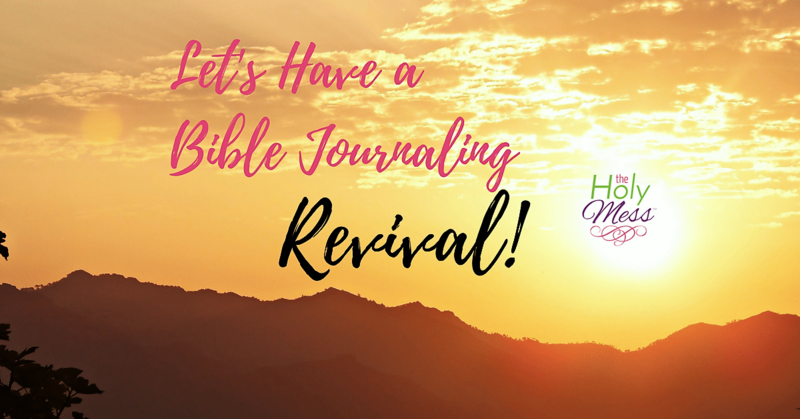 Are you joining us for a Bible journaling revival? Visit The Holy Mess Bible Journaling Facebook Group to share how you changing things up to strengthen and improve your Bible journaling.